The 2017 expedition was to continue with ongoing exploration in the Cueva del Nacimiento cave in the Urdon Gorge (Tresviso, Cantabria). 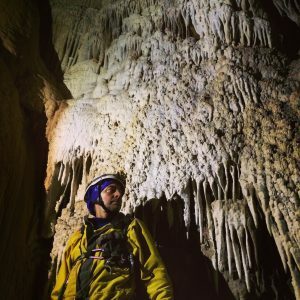 Expeditions in the previous years have been slowly extending the cave up through the mountain range, with the intention of trying to connect the cave with the known deeper pot holes in the Andara region. A number of the caves higher on the mountain (Sima 56, Sara) have previous been dye tested and the water is known to resurge in Cueva del Nacimiento. Exploration of numerous unclimbed avens within the Jurassic World area, looking for further progression into the mountain range. The aven was climbed to +60 m in 2016, to a narrow gap, with a black space and draft beyond. Requires completion in 2017. 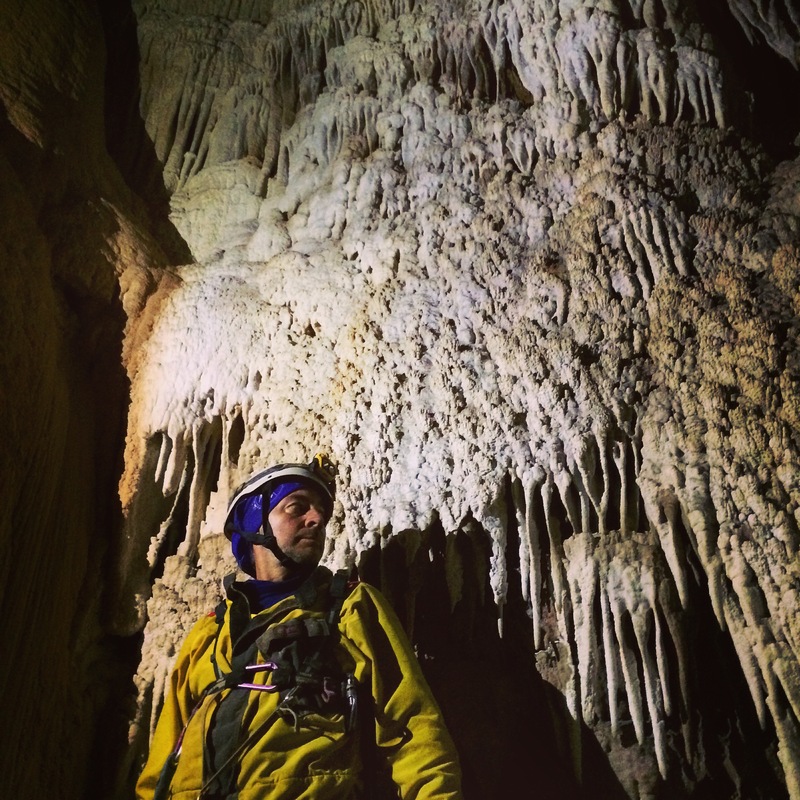 Re-investigate the possibility of resuming exploration of the Castillo system, currently at -293 m.
Another aven at the end of the cave was explored upwards before reaching horizontal passage for another 60 m, then finally closing down. Initial constriction was passed and the passage continues down another 35 m, to head of undescended 12 m pitch. The passage heads under the Death Race chamber, toward the Death Race pitches. 180m of passage found near Death Race passage. A new aven (+30 m) found near P Chamber in Death Race passage, continues. Sump 1 was dived and the 80 m aven beyond was climbed to approx. 47 m. The rock is extremely poor and no obvious continuations could be seen at the top of the aven, using powerful lights. 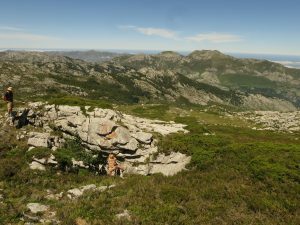 Pozo Castillo continues to be surveyed (2km +) and leads explored, attempting to bypass the 1987 snow collapse. The rediscovery of FT16 and the lower snow levels, allowed further progress in the system, but a sump was encountered at -110m. Pozo Natacha (a series of pitches in Castillo, rather than a separate cave) was pushed past it’s 1983 limit, down a tight right to the head of a tight 20m pitch. This pitch head would need serious enlargement before further exploration can continue. In total over 2km of cave was surveyed in 2017. Exploration of Nacimiento continues and has now pushed the height to over 534 m from the entrance. 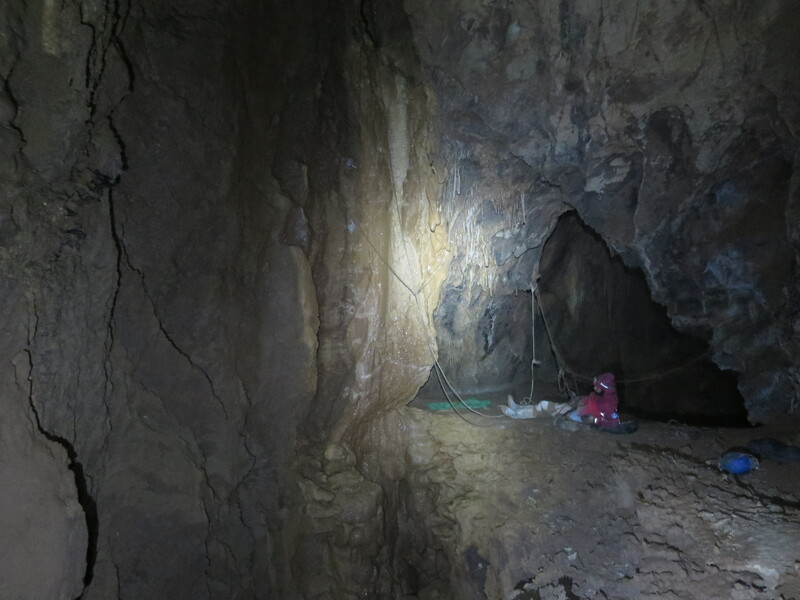 A logistical challenge that is not proving to get any easier, despite fixed camps toward the end of the cave. Trips to the far end require 4-5 nights of camping, and advanced camps at the far (far) end now need to be considered. 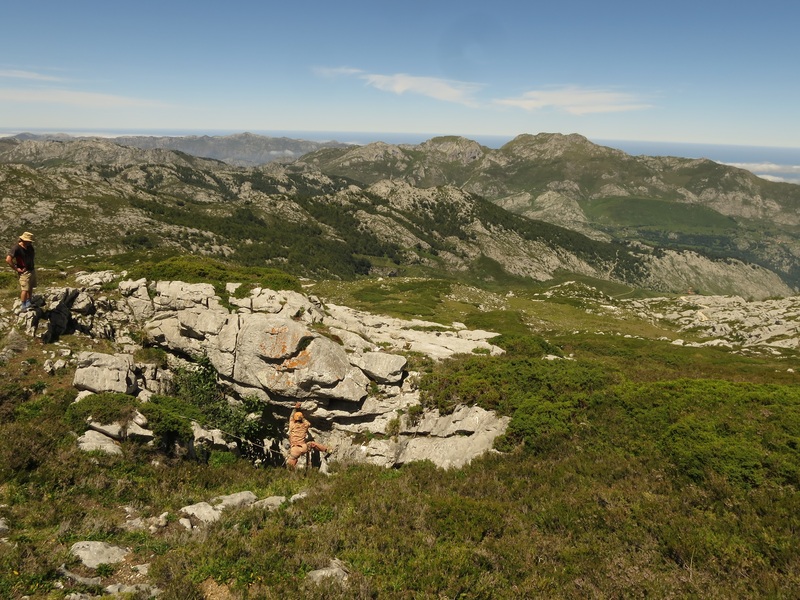 Passing the second sump in Marniosa is a major achievement and unexpectedly has surfaced in passage heading away from Nacimiento and into the mountain, possible towards a hypotheses trunk route that may also feed the upstream sump in Nacimiento. The rigging of Fallen Bear, and discovery of some new leads, opens up further possibilities of closer deeper systems lying between Nacimiento and the deep potholes high on the mountain.